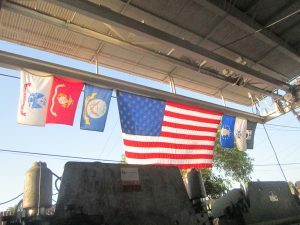 MFG Skills Gap & Military Veterans - Shop Floor Automations. With technology changing so fast, we have to be sure the skills we are teaching these veterans do not become obsolete in a short period of time. Technology waits for no one. 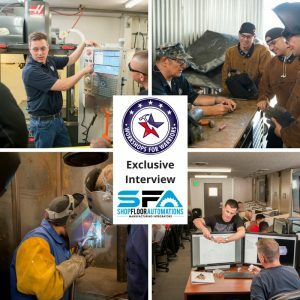 “What sets Workshops for Warriors apart from any other Veteran educational organization in the nation are the Nationally-recognized portable and stackable credentials our graduates have the opportunity to earn,” Hernán told Shop Floor Automations. “These credentials are our graduates’ passport to financial freedom, anywhere in the world, for life.” When Veterans, Wounded Warriors, and Transitioning Service Members attend the programs of WFW, they are earning credentials from many organizations. the American Welding Society (AWS). Once these veterans have jobs, there are other potential issues. If they are being trained on the latest equipment, what if they are stuck on an old machine which has no immediate plans to be replaced? This is where a manufacturing integrator like Shop Floor Automations comes in. We can help find solutions for controls of any make and model, for manufacturers of any size. If you are a veteran, or civilian, experiencing productivity problems on your shop floor, please contact us. Call (877) 611-5825 or fill out a contact form so we can get back to you.